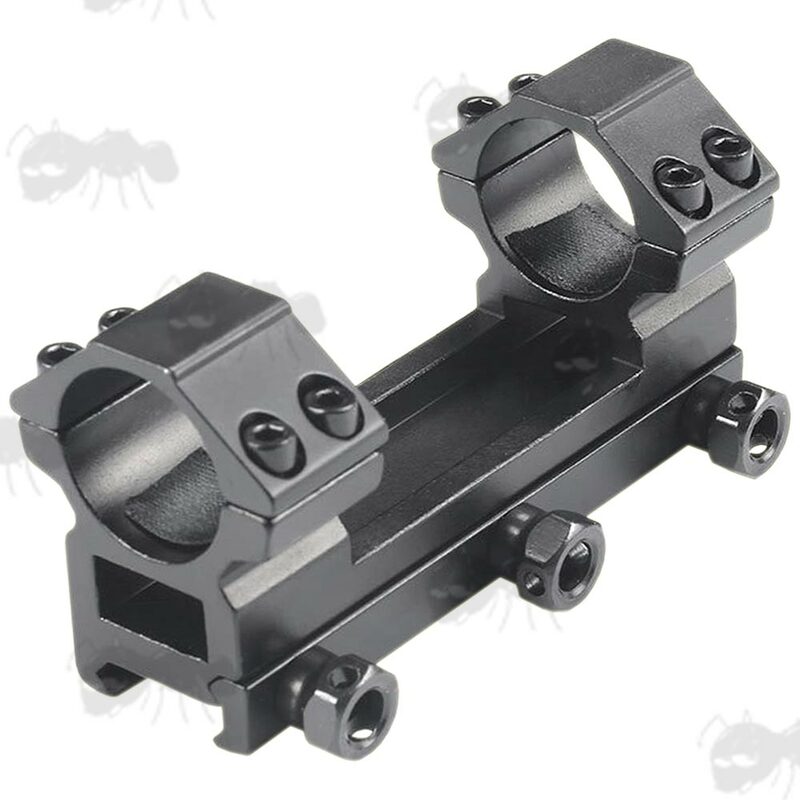 Heavy-Duty Flat Top Weaver / Picatinny One Piece Scope Mounts - 25mm / 1"
Precision machined high grade aluminium alloy construction. 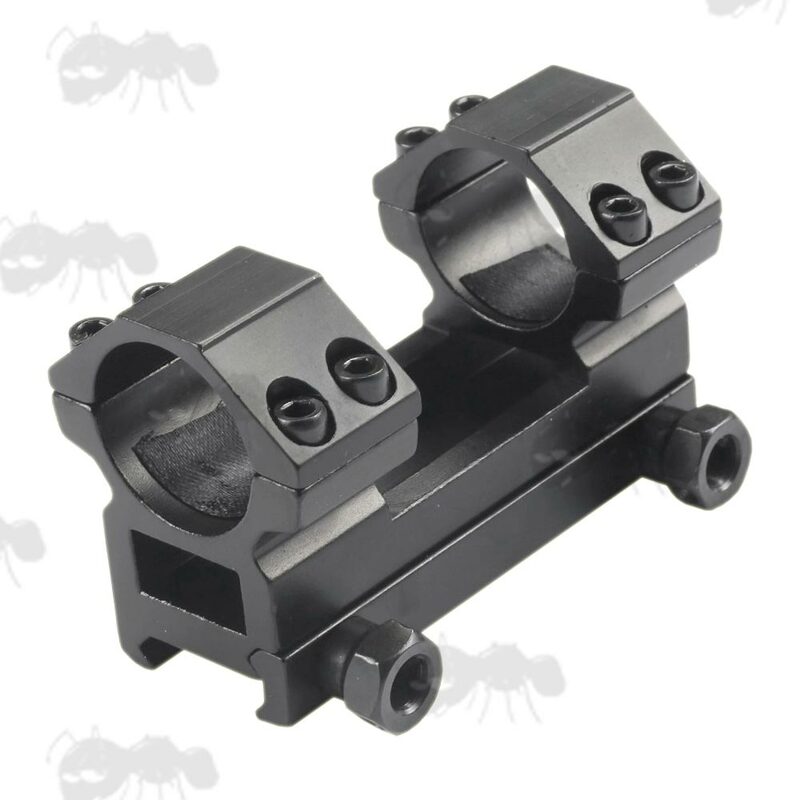 For scopes with up to 50mm diameter objective lens. Overall height 50mm, elevation of 18mm and width of 40mm. Overall height 45mm, elevation of 13mm and width of 40mm. 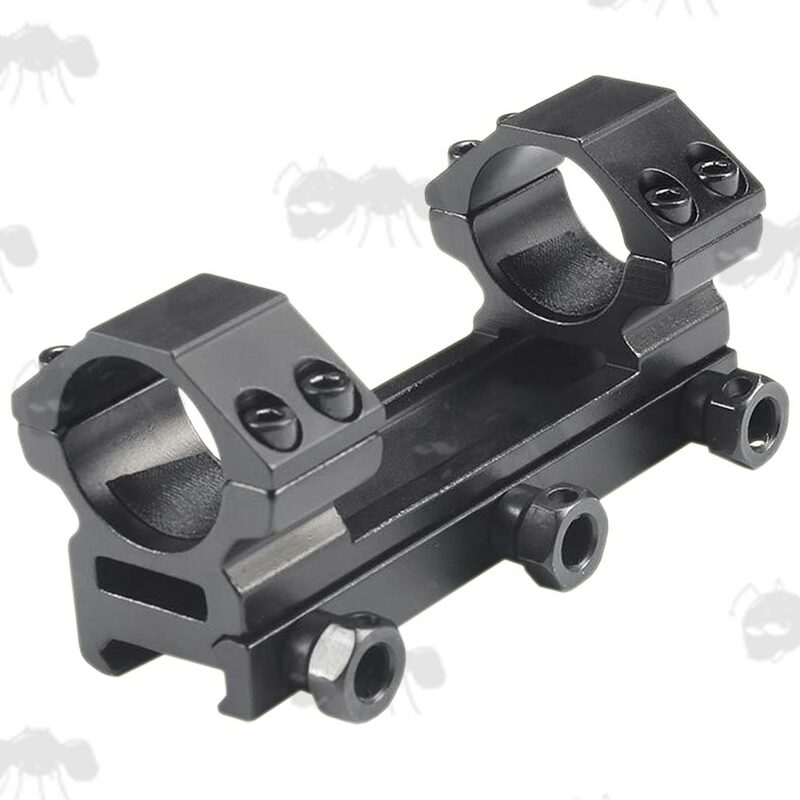 For scopes with up to 60mm diameter objective lens. For 1 inch / 25mm diameter scope tubes. 20mm wide weaver / picatinny fitting. 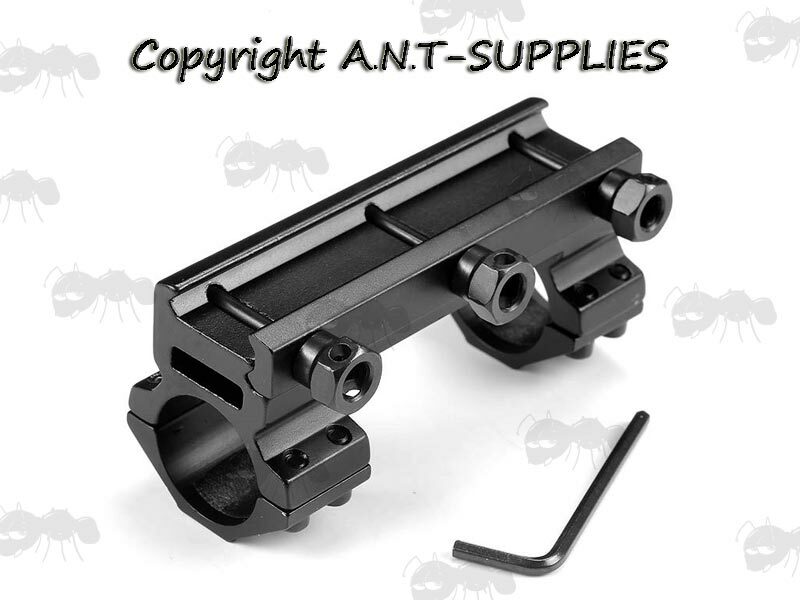 Also available in the same style as two piece flat top scope mounts.